News and updates from My Care at Home. News and updates from My Care at Home. In a nutshell, NHS Continuing Healthcare is NHS fully funded care that is provided for individuals who are not in hospital and have been assessed as having a primary health need. It is depended on my income and size of my bank account. No, NHS Continuing Healthcare is not means tested. 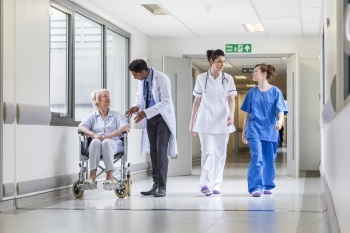 Nevertheless, it is still difficult to meet the criteria for obtaining NHS Continuing Healthcare because its looks at a whole range of needs together with their severity and complexity. When reviewing and assessing your needs, you may be reviewed using a screening tool called the Checklist to identify if you may be eligible for NHS Continuing Healthcare. However, it is not an indication as to whether or not you are actually eligible. This can be done by a nurse if you are in hospital and on a pathway to being discharged; a doctor or nurse in your own home or a social worker. There are other practitioners that may also be able to complete the Checklist. how unpredictable they are, including any risks to the person’s health if the right care isn’t provided at the right time. Upon a full assessment and taking into account information that has been provided, the multidisciplinary team will then make a recommendation to the CCG about your eligibility. The CCG will then write to you to confirm whether or not you are eligible. If you are eligible for NHS Continuing Healthcare, the next stage is to arrange a suitable care package. Please be aware that your eligibility for NHS Continuing Healthcare will be reviewed regularly. If your care needs change, the funding arrangements may change. This review normally takes place after three months and thereafter at least annually. https://www.gov.uk/government/publications/national-framework-for-nhs-continuinghealthcare-and-nhs-funded-nursing-care It is also worth taking a look at http://www.nhs.uk/chq/Pages/2392.aspx?CategoryID=68 This also has links to the Checklist and Decision Support Tool. 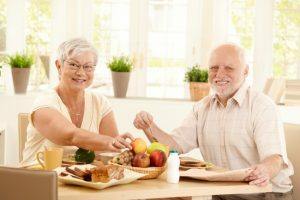 Healthy eating is an important lifestyle choice throughout life, and we know that we are always being told to eat a balanced diet, and not overdo it with fats and sugars, but this becomes even more important as we get older and our immune system and digestive system slows down and becomes less efficient. Because of this, it is crucial that older people eat well in order to get the most of the food they eat. This includes eating more lean proteins, complex carbohydrates, and other foods rich in vitamins and minerals your body needs, while avoiding processed foods, fatty foods, or foods with high sugar. Eating in this way ensures that your body runs as efficiently as possible, keeps you healthy, and effectively fights diseases. Improvement in mood – eating right will help to balance your body, and you find yourself feeling healthier and happier from the inside out. Boosting energy – Eating healthier, and focussing on foods with a slow energy release such as wholegrains, means your body is fuelled in the right way and will provide you with consistent energy levels, rather than the energy highs and lows that come from fats and sugars. Improves longevity – Eating a healthier diet means that your body will be healthier all round, and this boosts your chances for a longer life. Controls Weight – A healthy diet and activity will mean that you lower your amount of body fat, which is great for your heart and cholesterol levels, as well as the stress on your muscles and joints. These healthy eating tips are applicable to everyone, but it is very important as we get older. We are all living longer than we have before. 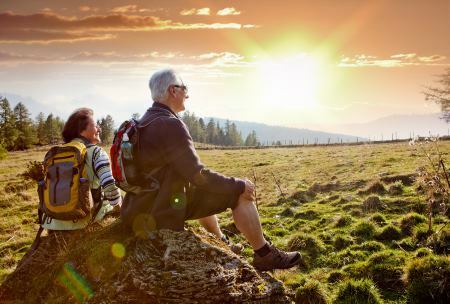 This is great news, but the age of retirement has not really changed, so people are having to make their pensions and savings go further in later life. by direct debit each month, you could also make a saving by switching to paperless billing and managing your account online. Claim the right benefits -There are a number of benefits that you may be eligible for in your retirement, including Pension Credit, Winter Fuel Payment, and Cold Weather Payment. Pension Credit – Is an income-related benefit made up of 2 parts – 1. Guarantee Credit and Savings Credit. Guarantee Credit tops up your weekly income if it’s below £151.20 (for single people) or £230.85 (for couples). 2. Savings Credit is an extra payment for people who saved some money towards their retirement, eg a pension. Winter Fuel Payment – You could get between £100 and £300 tax-free to help pay your heating bills if you were born on or before 5 January 1953. Most payments are made automatically between November and December. You usually get a Winter Fuel Payment automatically if you get the State Pension or another social security. If you qualify but don’t get paid automatically, you’ll need to make a claim. Cold Weather Payment – If you’re getting certain benefits you’ll get a payment if the temperature in your area is recorded as, or forecast to be, zero degrees celsius or below for 7 consecutive days. You’ll get a payment of £25 for each 7 day period of very cold weather between 1 November and 31 March. Save money on travel costs -In England you can get a bus pass for free travel when you reach the female State Pension age, whether you’re a man or a woman. Apply for a concessionary TV licence -Once you or someone you live with are over 74 you are eligible to apply for the over 75 free licence for your household. Shop wisely – Plan the meals for the week this will help to reduce waste and ensure you buy what you need and are not impulse buying. Also make use of the freezer, cook food in batches that can be frozen and used later. Freeze everyday foods like milk and bread so that can be used when needed and will reduce waste. At My Care at Home we can work with you to help you make savings and help with meal planning. Please call 01449 763086 to discuss how we can help. Around one in three people over 65 and half of over 80’s will have a fall every year. Even if you fall and are not hurt, a bad fall can shake your confidence. Most falls are the result of a combination of factors including physical health, mental health, poor eyesight, hearing problems, prescribed medications – which can have side effects, heart problems or sudden changes in your blood pressure, which can make you feel faint. The good news is that falls are NOT an inevitable part of getting old, and there is plenty you can do to avoid them. Exercise – Regular exercise such as walking, swimming, housework and gardening all strengthen your muscles, so you are less likely to fall and better able to recover if you do. Get regular eye and hearing tests – You may qualify for free sight tests so make sure to ask your local optician. Your GP can also help to arrange a full sight or hearing test. Visit the Chiropodist – Keeping your feet and toenails healthy and in good condition will help in your maintenance of overall good health. Conditions like diabetes or circulatory problems can all be picked up by looking at the feet. Keep your doctors informed – Always tell the doctors treating you everything you’re taking, including tablets your doctor hasn’t prescribed but which you’ve bought yourself. Make your home safer – install non slip rug pads under area rugs, place a rubber mat in the bath or shower, wear sturdy shoes or slippers inside, install brighter lights on your stairs and landing, mop up spills immediately, and keep things you use every day at an easy to reach level. Keeping an elderly relative out of hospital is a really important goal. Neither you, nor your loved one wants to make that dreaded trip to the hospital. A set back that causes a relative to go into hospital can have more complications meaning their condition could decline rapidly, both mentally and physically. • Don’t ignore symptoms – If something seems to be causing your relative some pain or they don’t feel quite right, encourage them to visit their GP and get it sorted early to avoid the condition getting worse. It might be nothing, but it’s better to get it checked out. • Reduce the risk of falls and accidents – keep your elderly relatives home tidy and clutter free to avoid any potential trip hazards and ensure hallways and stairs are well lit. 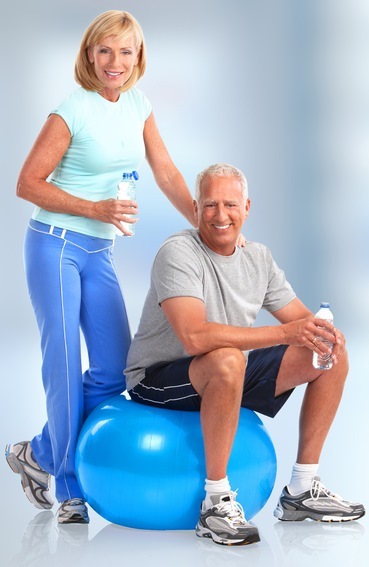 • Physical and mental activity – try to keep your relative as active as possible in order to keep the simple tasks much easier, the heart and brain are like muscles and need to be used to prevent deterioration. • Healthy Diet – This will keep blood pressure and cholesterol low reducing the risk of any circulatory problems. Professional Care Companies such as My Care at Home provide care of the highest quality in order to support our clients to remain independent in their own homes. Call 01449 763086 or come and see us at our office at 117 Ipswich Street, Stowmarket to find out more about the services we provide. Loneliness is a massive issue for elderly people in the UK. As people grow older they will inevitably lose more of their friends, neighbours and even their spouse or partner. This reduces the social interaction that they might have. Also the elderly can have limited contact with family members due to them living away or having busy lives. All of these issues can lead to feelings of loneliness. Loneliness can then lead to a cycle of behaviour. As the elderly person feels more isolated they may become more withdrawn and spend even more time on their own which can lead to anxiety. This anxiety can then lead to more prolonged spells of time on their own and the vicious cycle has begun. Loneliness may not seem like a serious problem but the effects of the loneliness are. It can lead to serious depression and anxiety and can also lead to physical health problems. Prolonged loneliness can seriously affect a persons well being. This is why companionship is so important and can help to keep loneliness and its effects at bay. There are lots of ways we can help the elderly in our community helping them with shopping or taking meals round for them. However it’s also important to spend the time with our elderly to help combat the loneliness and isolation they may be feeling. Stopping for a cup of tea and a chat, playing a game of cards, doing a jigsaw, going out for a walk, watching a movie together – all these activities allow an elderly person to enjoy themselves. 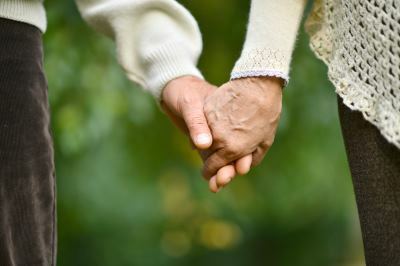 Companionship can also be offered as a service by care companies. This isn’t as a luxury but as vital aspect of someone’s care to help keep those feelings of loneliness and isolation at bay. We all need to do everything we can to help the elderly in our community to feel more content and confident, and perhaps inspire them to do more things, and reduce any anxiety about the world outside their front door. My Care at Home can help by providing companionship visits that can help to combat loneliness. Please call 01449 763086 or visit our office at 117 Ipswich Street, Stowmarket to find out what we can do to help. February is National Heart Month here are a few tips from the British Heart Foundation for keeping a healthy heart. Not only for Feb but the whole year round! 1. Cut down on your salt intake! Too much salt can cause high blood pressure, which increases the risk of developing coronary heart disease. Avoid foods like crisps, salted nuts, canned and packet soups and sauces, baked beans, and ready meals. 2. Watch your diet. A healthy diet can help to reduce the risk of developing heart disease and can also help increase the chances of survival after a heart attack. 3. Get Active! The heart is a muscle and it needs exercise to keep fit so that it can pump blood efficiently around your body with each heartbeat. Any form of activity in the long run is better for you than inactivity. Even things like walking if done often enough will really help. As the modern world has changed and as we age we do less. More steps make sense. 4. Manage your weight. The number of people who are overweight in Britain is rising fast. Carrying a lot of extra weight as fat can greatly affect your health and increases the risk of life-threatening conditions such as coronary heart disease and diabetes. If you are overweight or obese start by making small, but healthy changes to what you eat and try to become more active. 5. Get your blood pressure and cholesterol levels checked by your GP. People with high blood pressure run a higher risk of having a stroke or a heart attack. High levels of cholesterol in the blood – produced by the liver from saturated fats – can lead to fatty deposits in your coronary arteries that increase your risk of coronary heart disease, stroke, and diseases that affect the circulation. You can help lower your cholesterol level by exercising and eating high-fibre foods such as porridge, beans, pulses, lentils, nuts, fruits and vegetables. 6. Check your family history. If a close relative is at risk of developing coronary heart disease from smoking, high blood pressure, high cholesterol, lack of physical activity, obesity and diabetes, then you could be at risk too. 7. Make sure you can recognise the early signs of coronary heart disease. Tightness or discomfort in the chest, neck, arm or stomach which comes on when you exert yourself but goes away with rest may be the first sign of angina, which can lead to a heart attack if left untreated. Some very good advice for us all from the British Heart Foundation for National Heart Month. I’d like to introduce you to Jane Yeo. She is our first dignity champion and she has pledged to keep the ‘10 dignity dos’ as laid out by the National Dignity Council. A Dignity Champion is someone who believes that everyone has the right to be treated with dignity at all times and that this is a basic human right. They believe that all care services must provide care that is person centred and compassionate and they are willing to try to do something to achieve this. They pledge to challenge poor care, to act as good role models and to help to educate and inform all those working around them. Dignity Champions are all committed to taking action, however small, to create a care system that has compassion and respect for those using its services. Jane will be the first of many of our care workers that sign up to this commitment. 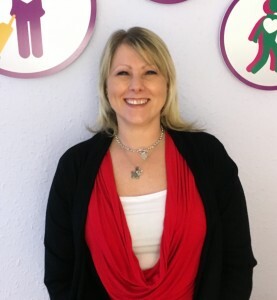 Finding the right person for important roles isn’t always easy but in appointing Alex Powell as our new Care Manager we’re confident we’ve done exactly that. Alex has extensive experience in care. Her very first experience of care was looking after her grandmother as a teenager. It was then she decided that care was the career for her. Alex started her career in care as a night carer, fitting her work around her young family, and has worked her way up as a senior, care coordinator, deputy manager and then a manager. She has worked in both Care Homes and Home Care. She brings with her a wide range of skills and experiences. While not at work Alex is kept busy looking after her four grandchildren. She also enjoys long walks with her newly adopted dog. We’re delighted that Alex has joined us. She ‘loves to care’ that’s the one essential qualification to work for My Care at Home and we know she’s going to do a brilliant job. can be a time they are dreading. Many elderly people don’t want to be seen as unsocial and will open the door to the local children, but what about the people that they don’t know? 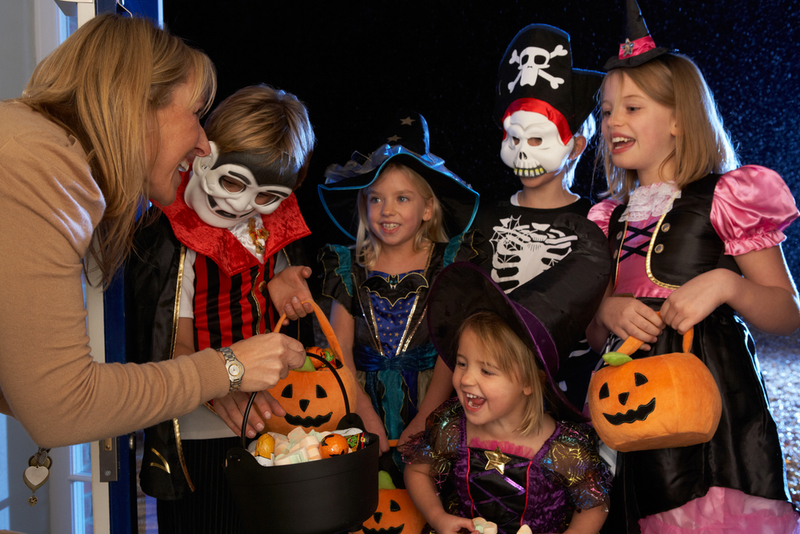 It’s a sad fact that many thieves will prey on the vulnerability and trusting nature of some of our elderly neighbours at Halloween. • You don’t have to answer the door to unknown callers. 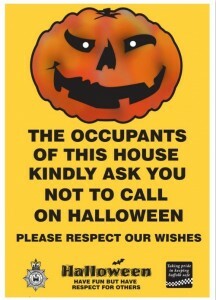 You can display this poster in your window to let people know you do not want visitors. • Use your spyhole, look out of a window, and use your door chain if you do decide to open your door. • Have a contact number of a close relative or good neighbour to hand by your telephone, just in case you need to call them. • If you are going to be on your own and feel vulnerable, let a family member, relative or friend know, so they can make contact to check you are okay. 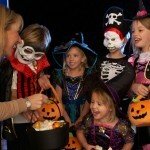 • If trick-or-treaters do call on you and things get out of hand, or you feel intimidated, contact Suffolk Police. To report anti-social behaviour, call 101. If you feel threatened, it’s an emergency, or a crime is in progress, dial 999. Posters are available from Suffolk Police, alternatively pop in to our office 117 Ipswich Street Stowmarket and we will happily print one out for you.